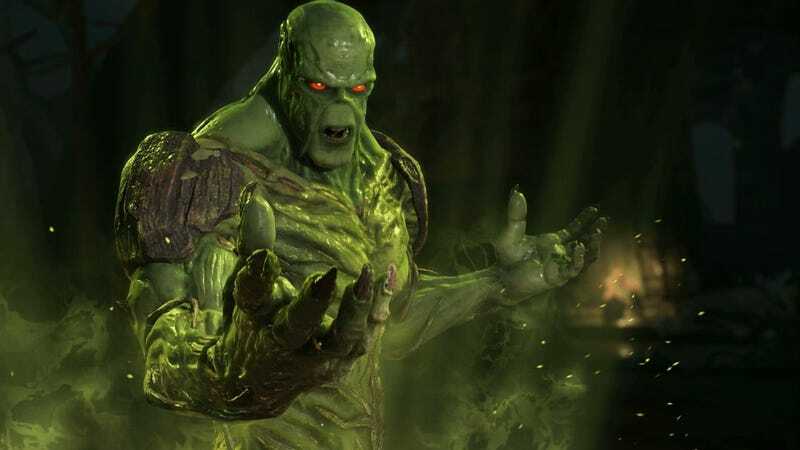 Swamp Thing as he appears in Injustice 2. This weekend is WonderCon, which means an opportunity for some exciting new announcements, and yesterday DC Universe dropped a whole bevy of ‘em. First off, Swamp Thing is set up for a premiere on DC Universe in just a couple of months. The Crystal Reed-led series will premiere on the streaming platform on May 31st, reports Entertainment Weekly. Among others, it’ll feature Andy Bean as scientist Alec Holland, and Derek Mears will play the Swamp Thing himself. Next up, the second half of Young Justice: Outsiders is slated to hit the service on July 2nd, with the second season of Titans starting up this fall. The animated Harley Quinn series, featuring Kaley Cuoco as Harley, will also debut this fall. Meanwhile, DC’s ongoing slate of direct-to-DVD animated films seem to be hitting the service the same day as their meatspace versions now, with Justice League vs. The Fatal Five hitting on April 16th. And if you wanted to catch up on Krypton season 1, it’ll be on the platform April 5th.